On August 1st, Kathleen Mason, former CEO of Tuesday Morning Corp, filed disability discrimination charges against her former employers. According to Mason and her attorney, Rogge Dunn, Mason told the board of directors in January that she was undergoing treatment for breast cancer. She did not want to alarm the board or employees of Tuesday Morning if she lost hair or weight during the course of treatment. Her prognosis was good, and she was able to focus on her job. However, in a statement released Friday, Dunn said board members’ attitude toward Mason changed after her announcement. In June, the board decided to fire Mason, citing a need for leadership transition. Mason had worked for the company for 12 years, and had been CEO since 2009. Dallas-based investment firm Becker Drapkin Management LP, a major shareholder in Tuesday Morning, stated that Mason was fired because of “extraordinary destruction of shareholder value.” The company has lost more than 80% of its value since 2005. Rogge Dunn states that Mason was not given a reason for being fired, and that the board did not convey any concern about stock price before Mason’s diagnosis. Mason claims that three of the five board members wanted her fired, saying she would be too ill or distracted during the course of her cancer treatment. U.S. disability law should prevent companies like Tuesday Morning from discriminating against employees for perceived disability. Mason and her attorney contend that, if Tuesday Morning Corp had fired her for cause, she would not have been offered a bonus earlier in the year, nor would she have been offered a severance package with medical benefits. The exit package included a 10-year consultancy clause, an 18-month non-compete requirement, and continued medical benefits. Mason filed charges with the Equal Employment Opportunity Commission, and is also seeking unspecified damages, as well as her former job. Employers cannot legally discriminate against employees for perceived disability, but many will, and will attempt to cover up their bias. 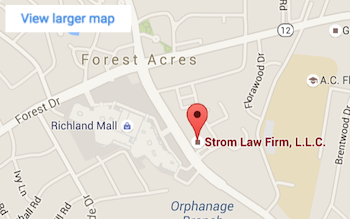 The experienced lawyers at Strom Law, LLC can help. We have represented employees in a number of cases involving employment agreements, wages and hours, discrimination, whistleblower claims, and restrictive covenants. If your employer has discriminated against you for disability or perceived disability, please contact us today for a free consultation. We can help get you on the path to emotional and financial recovery. 803.252.4800.